Gizmo the Corgi barks his own gosling from the sky. Gizmo the Pembroke Welsh Corgi has no cows nor sheep nor geese to herd. 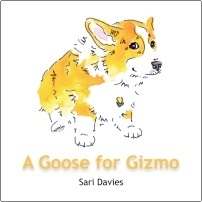 When Gizmo calls a gosling from the sky, he discovers his Corgi calling: Loving is herding, and herding is love.